After an unexpected amount of interest, the Aria Super High Roller Bowl will now welcome 56 of the richest players in the game. Running the event in conjunction with broadcaster Poker Central, the Aria had initially planned to cap the $300,000 buy-in rake free tournament at 50 players. In an effort to balance the number of pros and invited VIPs and celebrities, the Aria intended to hold back 15 seats. The remaining 35 seats where then open to the public. After news of the May 28 event went live, 54 players registered their interest forcing the Aria to hold a live raffle. Helped along by Daniel Negreanu, the lottery saw each player represented by a numbered ball. Eventually, after drawing 35 balls, the start list was set. Among the players making the cut was the likes of Antonio Esfandiari, Igor Kurganov and John Juanda. However, following such a strong amount of interest and the fact players such as Negreanu missed the cut, the Aria and Poker Central have decided to raise the cap to 56 players. At this stage the six additional seats are going to be given to players at the Aria’s discretion, but it will mean the prizepool will jump up from $15 million to $16.8 million. Not only that, but there will be a $6 million top prize up for grabs and the organizers will be able to equally balance the tables from the start. Although the Super High Roller Bowl is part made-for-TV event and part nosebleed stakes poker tournament, the huge amount of interest does suggest that the economy at the top of the game is still alive and well. 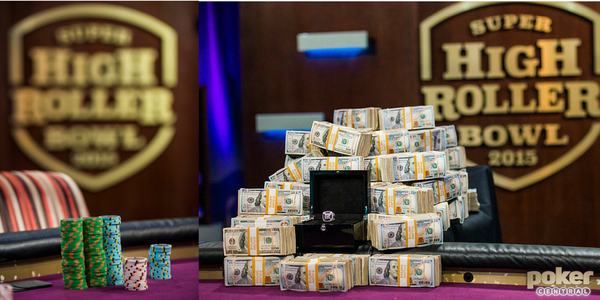 In a time when poker operators are gradually reducing live tournament fees and offering more games aimed at “casual” players, the Super High Roller Bowl is certainly a break from the norm. While it’s true that 99 percent of the poker population wouldn’t ever take part in an event like this, it shows there is still entertainment value in high stakes events. Working to attract more casual players has certainly allowed online operators to continue increasing their customer base in a lead period, but there needs to be something else there to keep them around. During the poker boom that followed Chris Moneymaker’s 2003 WSOP Main Event win, shows such as High Stakes Poker and the World Poker Tour were hugely popular. 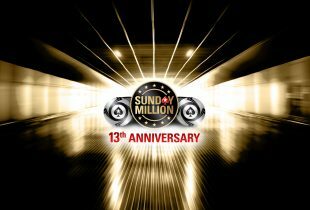 Seeing players like Phil Ivey and Doyle Brunson play for millions inspired players to play more and take the game more seriously. The Super High Roller Bowl appears to be continuing this trend and this could be something that benefits the industry as a whole as the tournament evolves.